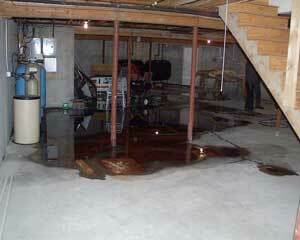 Leaked oil can get into surrounding soil, cracks, drains and beneath floors and walls. No matter how big or small the fuel oil spill, successful cleanup depends on a quick response and proper methods. 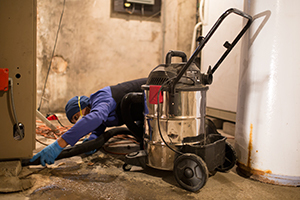 Whether a small amount of oil has leaked from the tank or pipes or the oil tank was overfilled, the experts at ServiceMaster of Greater Bridgeport are trained to handle emergency spills and help you with the cleanup, remediation and odor removal. Call us today at 1-844-204-8240 for an on-site evaluation and estimate. Turn off all flames, including pilot lights, candles, etc. Do not smoke cigarettes or light matches in the area. Do not use light switches, outlets or any other electrical equipment or power tools that could cause a spark or get hot. Open outside doors & windows to allow in fresh air. Turn off forced hot air heating and/or central air conditioning. Close cold-air returns, heat registers and other openings that may allow fumes to enter living areas. Keep the door between the basement and first floor closed and seal gaps around the door with plastic. 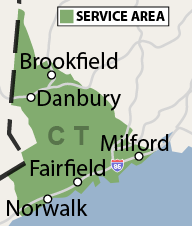 Call the 24-hour spills hotline at the Connecticut Department of Energy and Environmental Protection (DEEP). Hire a professional like ServiceMaster of Greater Bridgeport to help with the cleanup. If you are a resident of Norwalk, Stratford, Danbury, Westport or the surrounding area and you have experienced an oil leak or spill in your home, contact ServiceMaster of Greater Bridgeport today for complete cleanup, odor removal and remediation help. 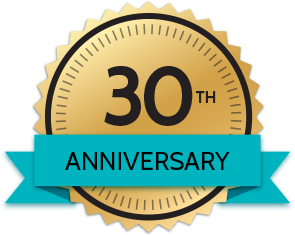 We are the area's trusted professional cleaning and remediation company.